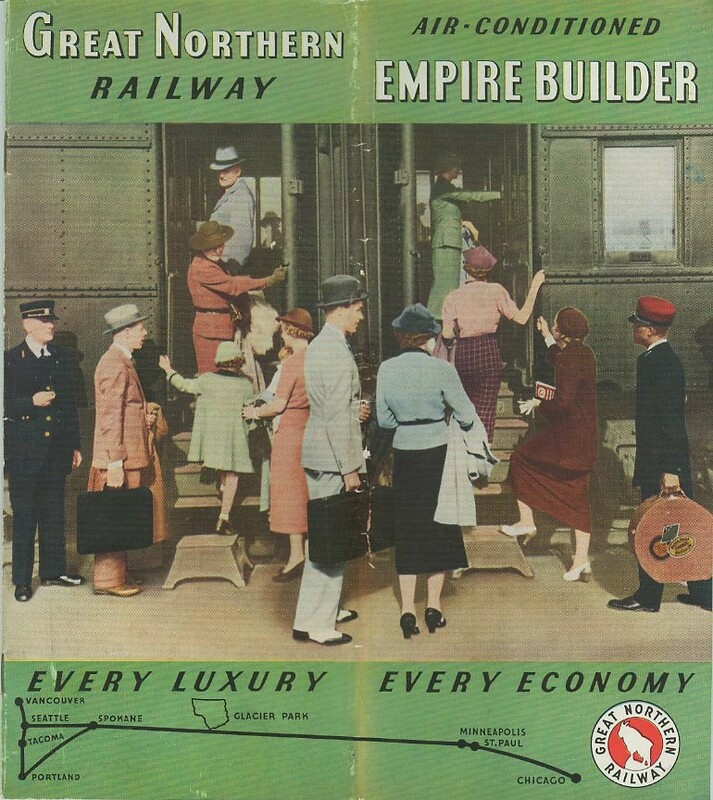 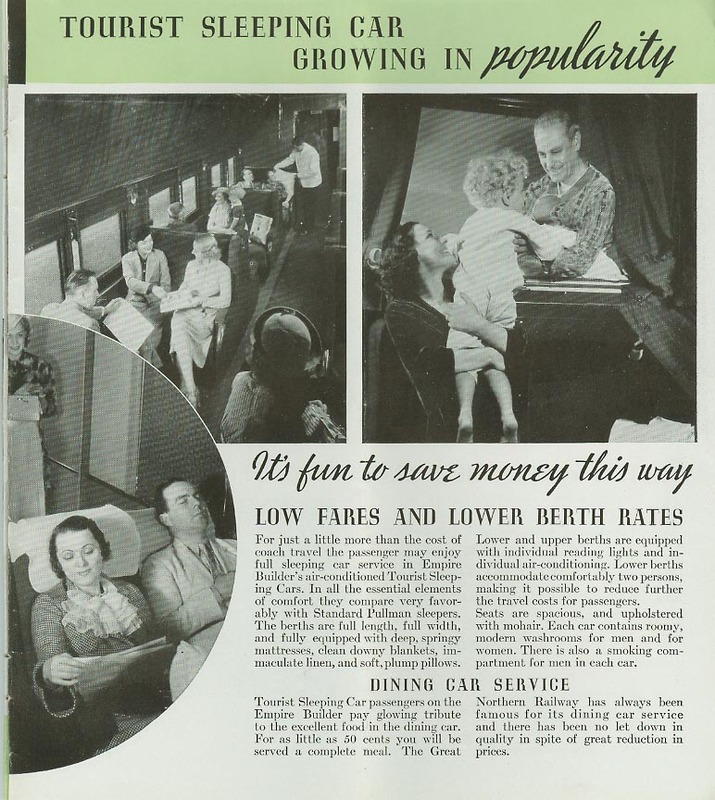 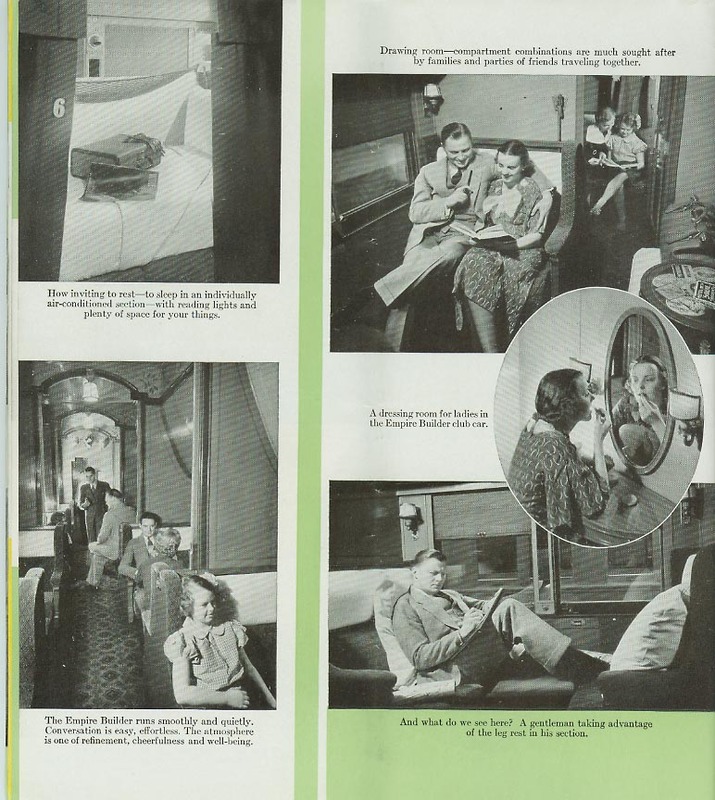 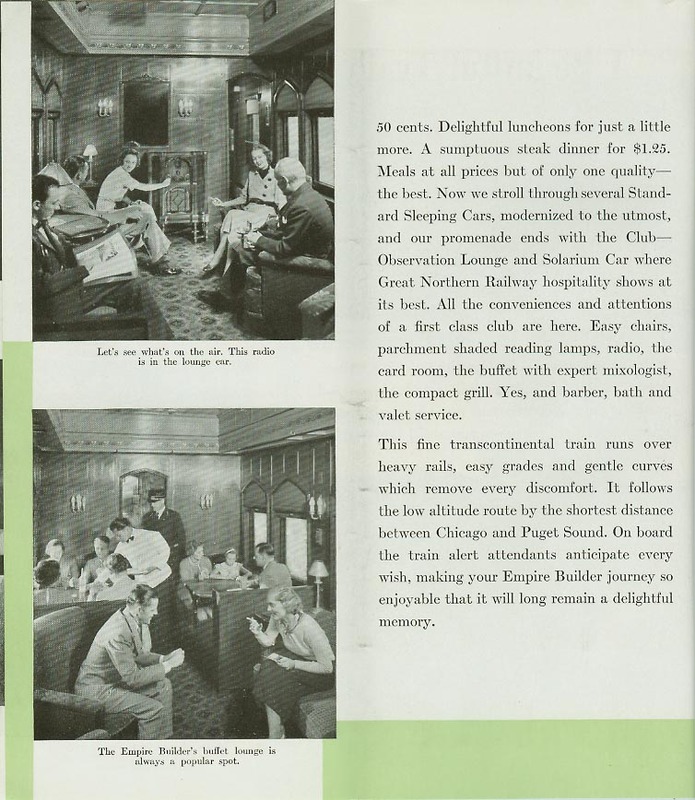 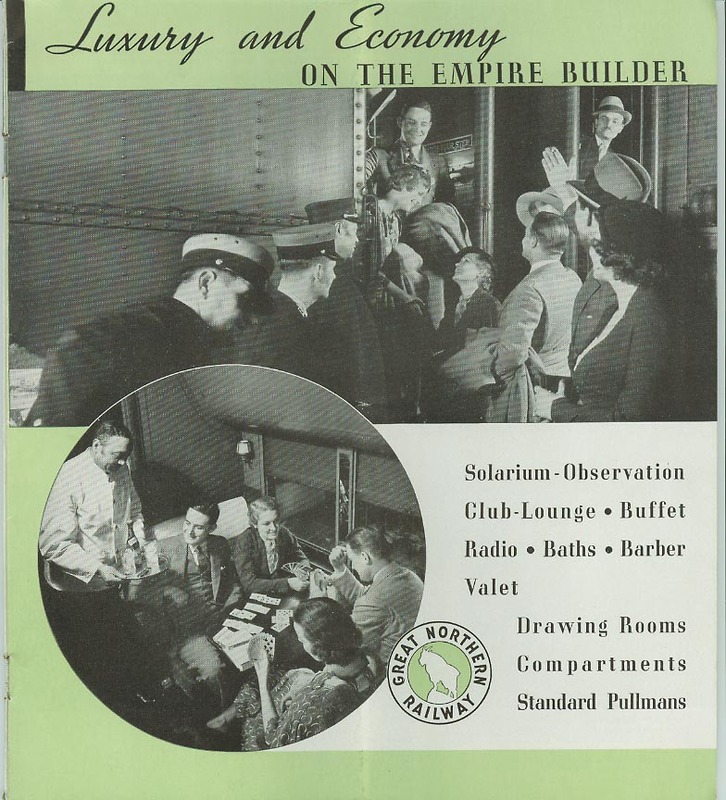 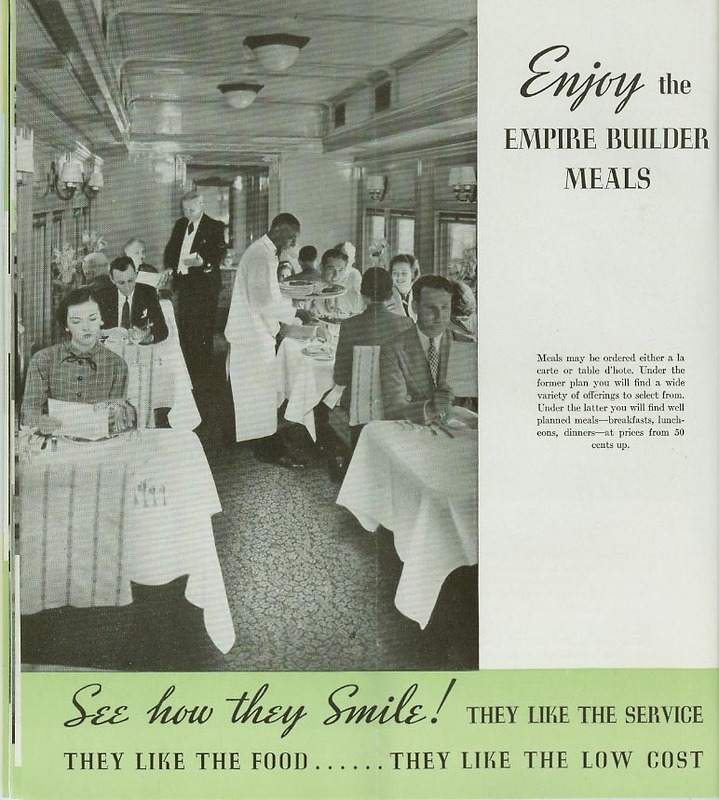 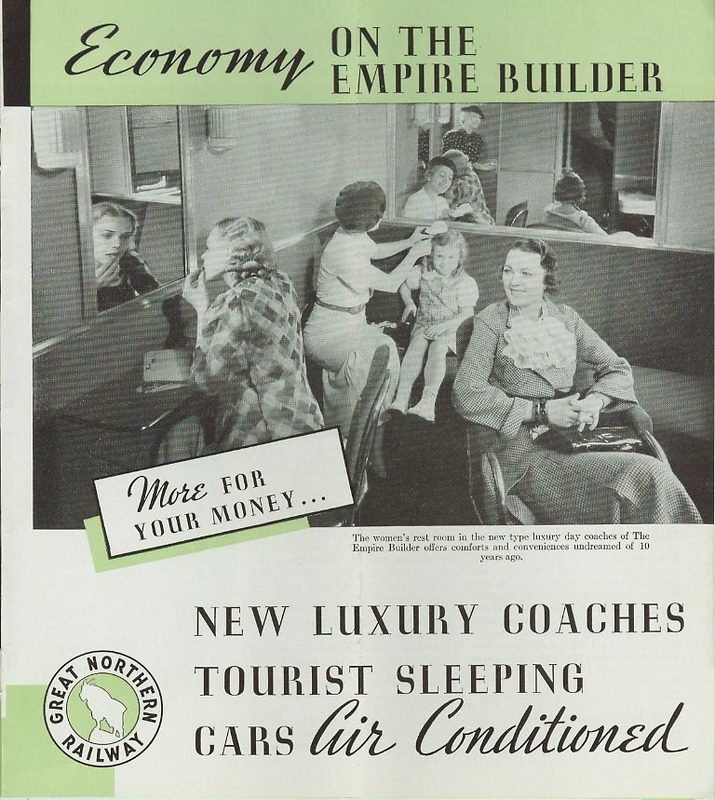 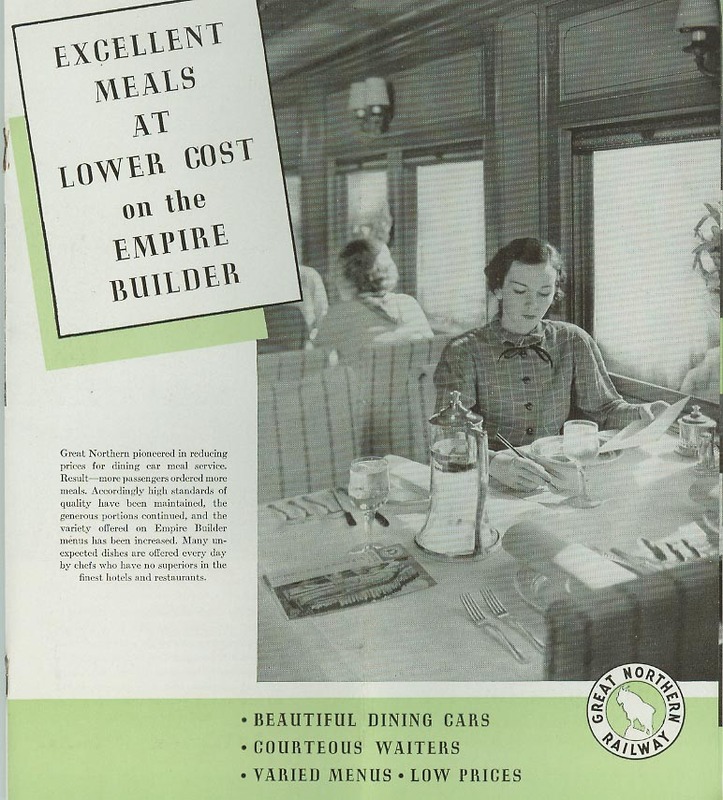 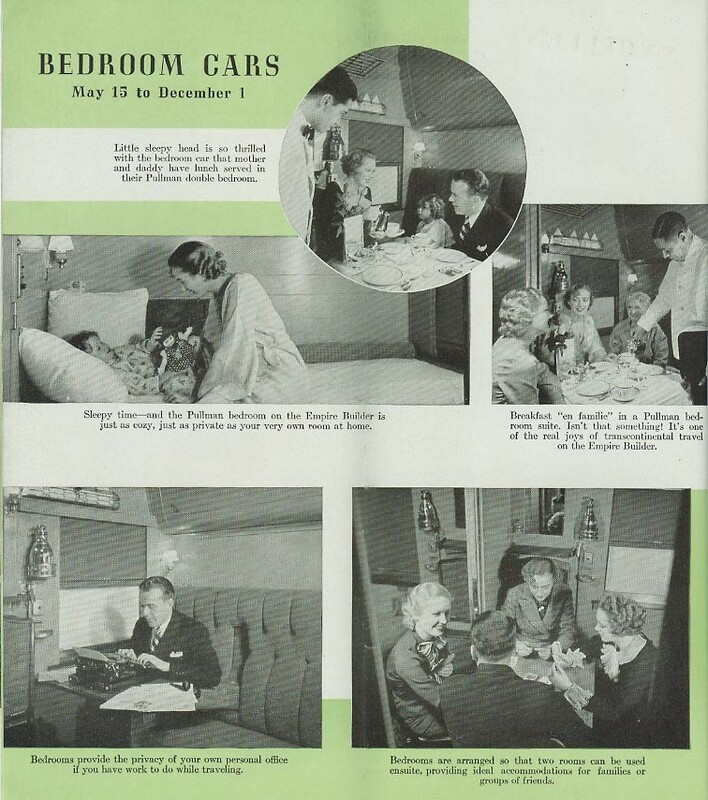 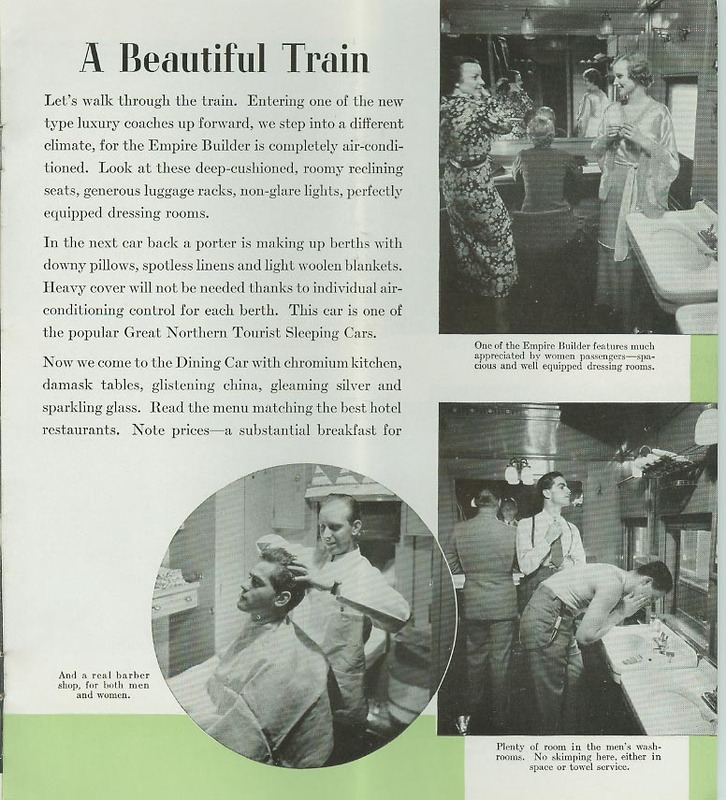 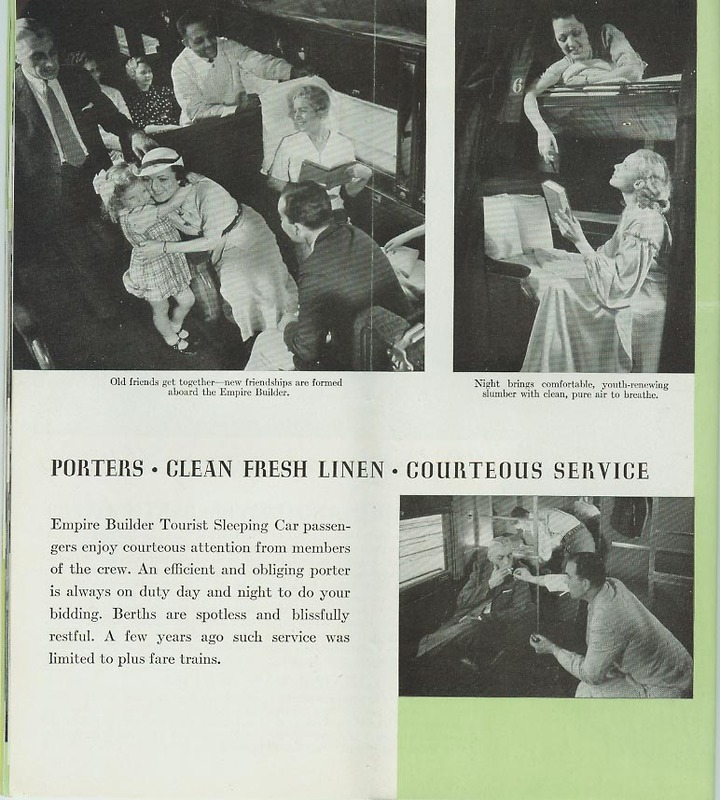 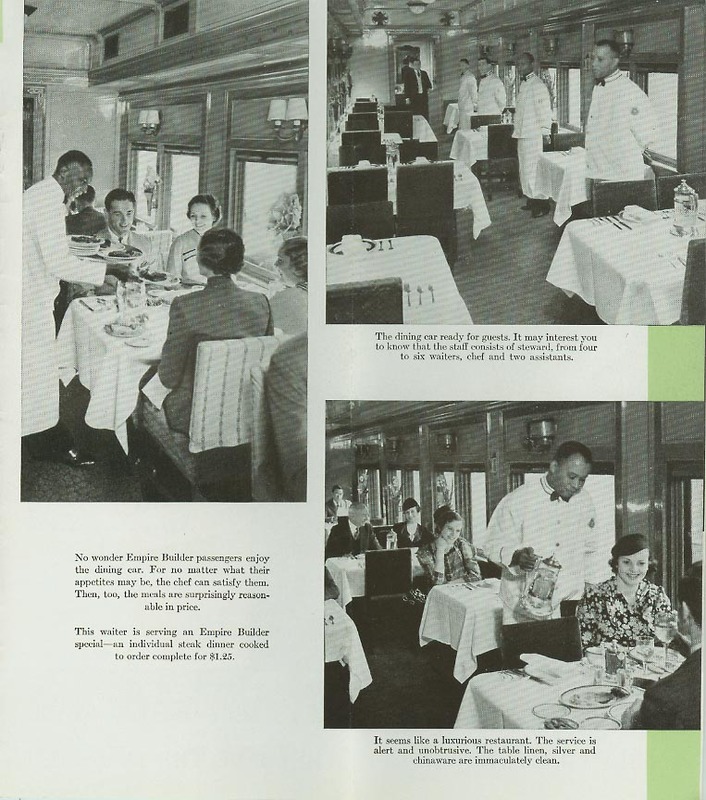 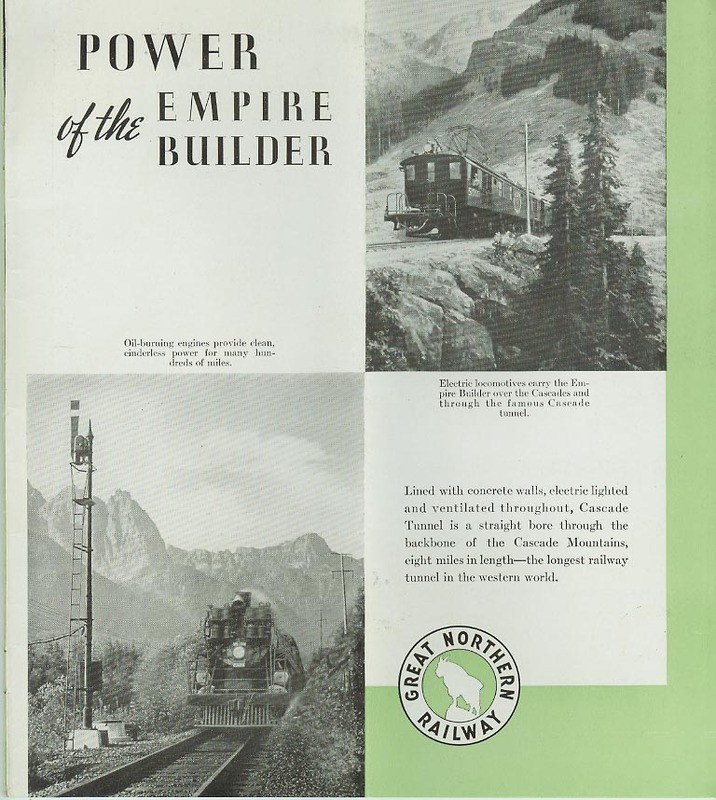 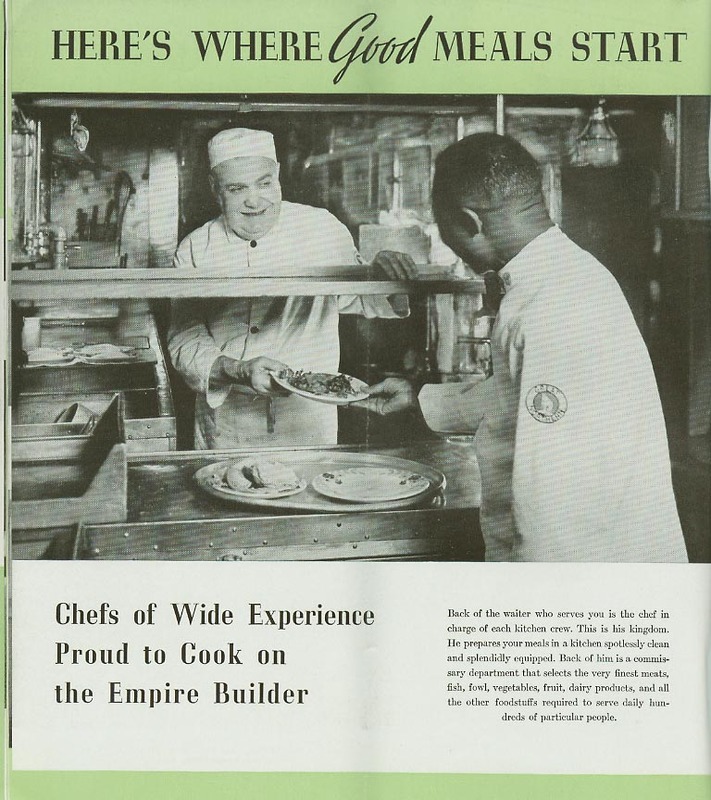 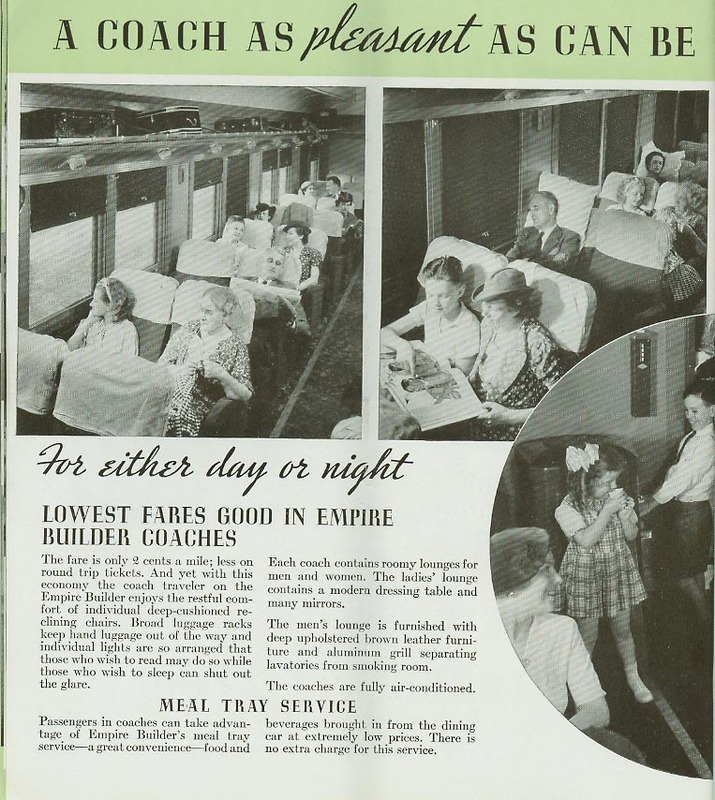 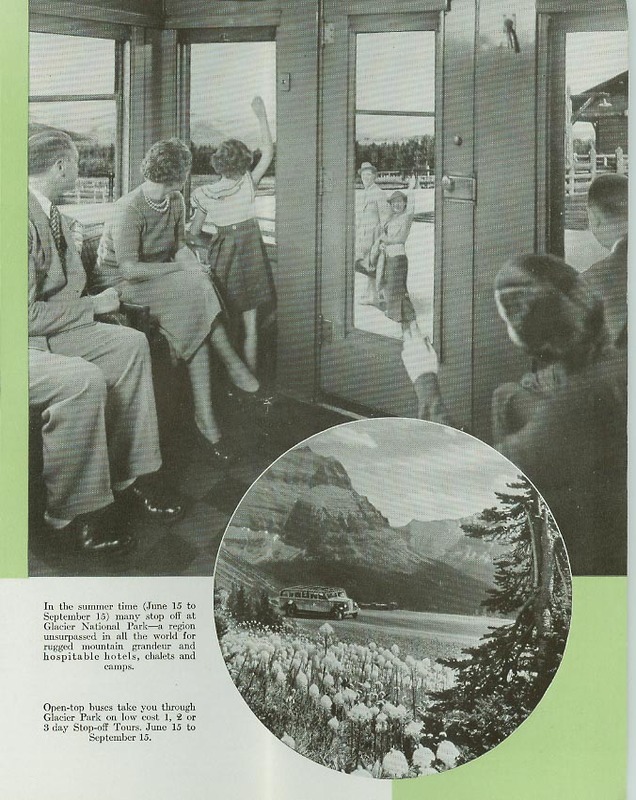 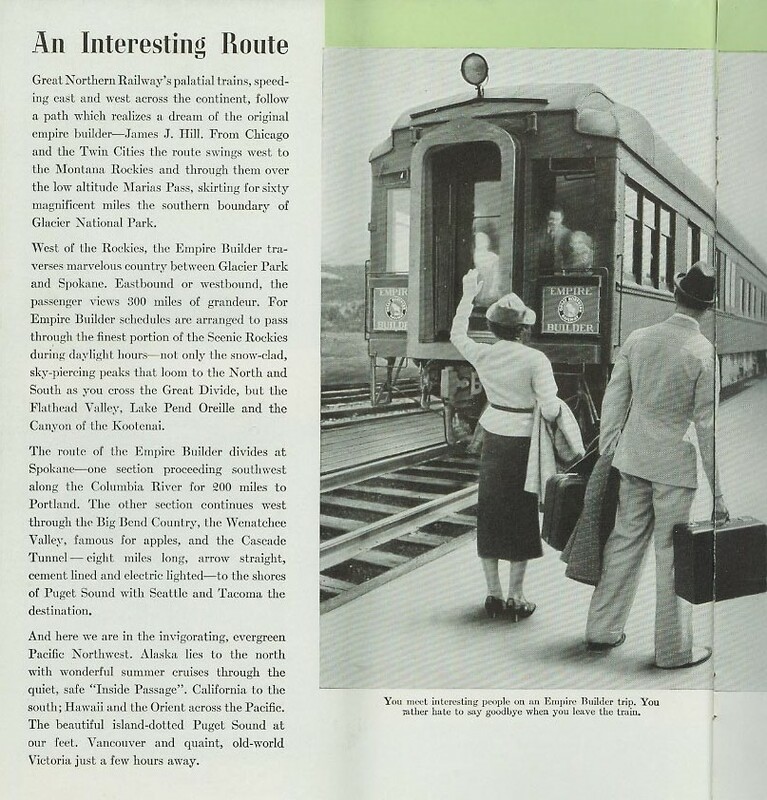 This is a complete, colorized advertising brochure which thoroughly describes the route and posh features of Great Northern's Empire Builder in 1935. 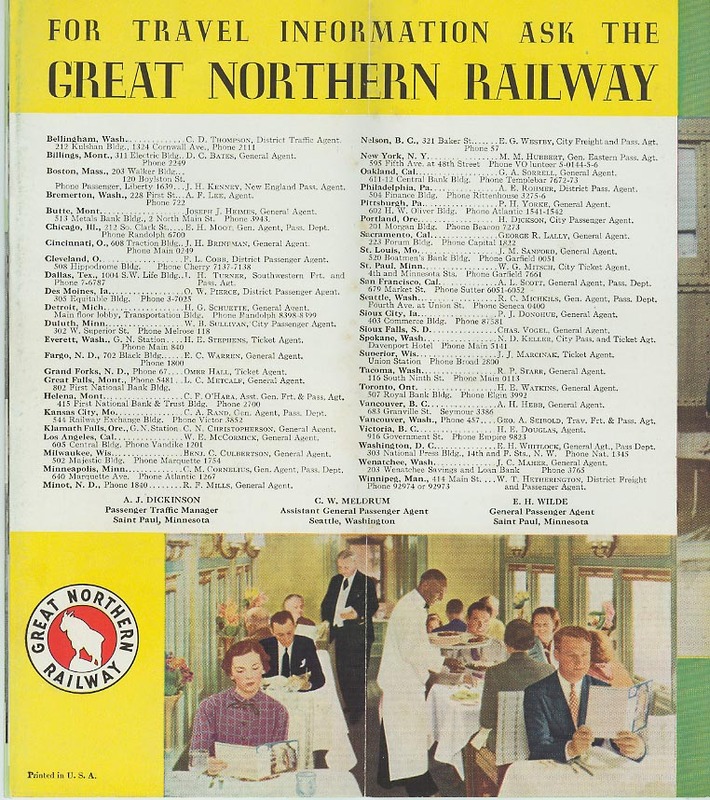 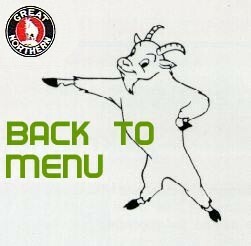 WARNING: These are fairly large .jpg files (125k to 250k) and may take a while to download (especially if you're on a dial-up connection). 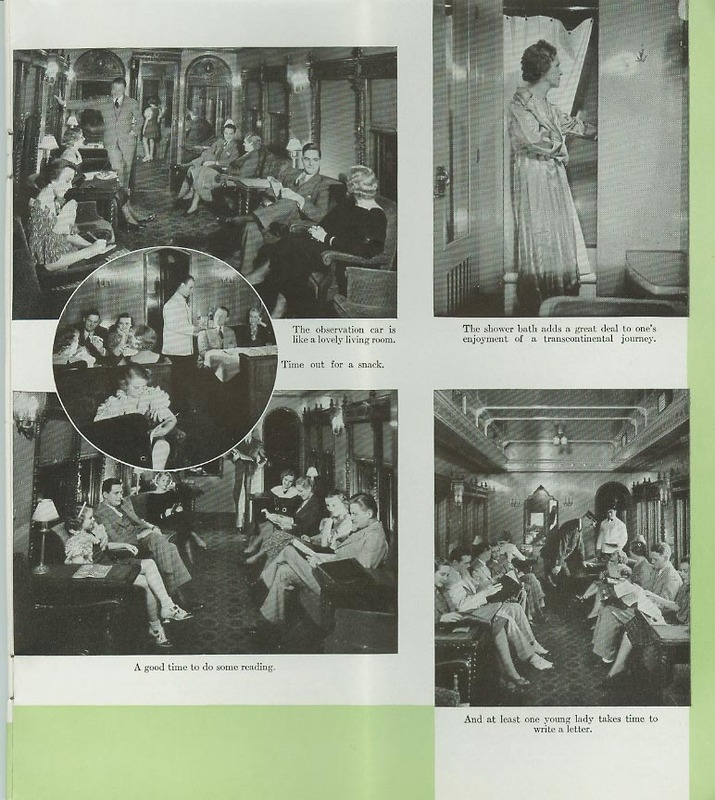 Click on the thumbnailed picture to view the page of your choice. 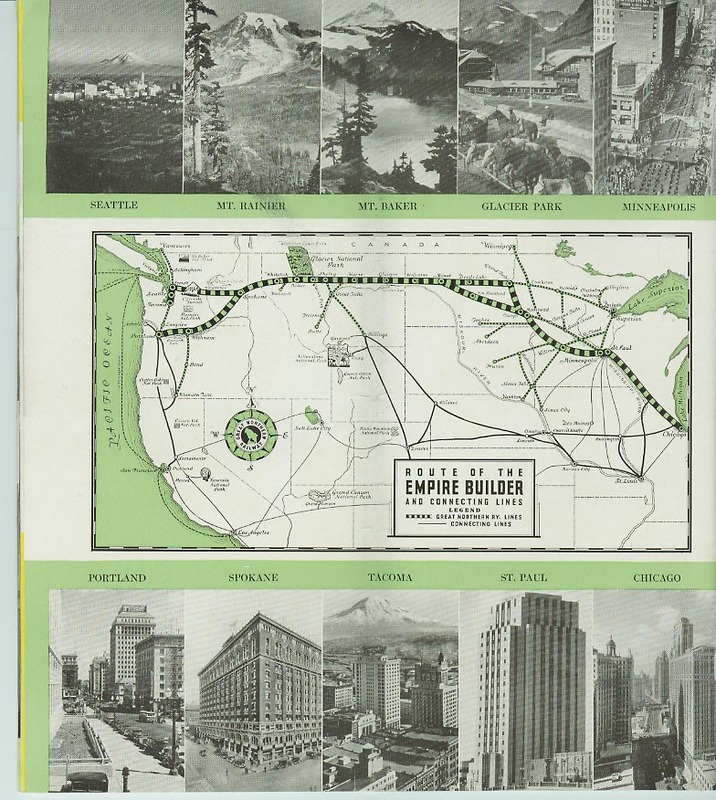 Below each page is a brief description.